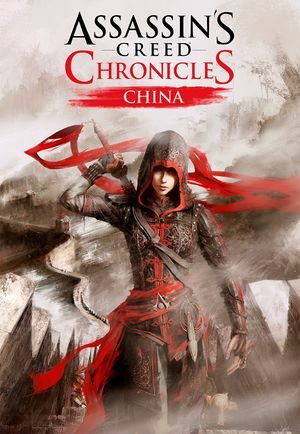 Part of Assassin's Creed Chronicles Trilogy. Forced 720p despite option. See Widescreen resolution. See the WSGF entry or use ACC FOV Changer. Default is 4 samples. See Anisotropic filtering (AF). 62 FPS default cap; see High frame rate. 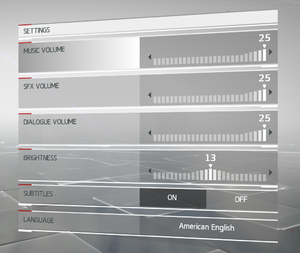 Game sets resolution to 720p even if other resolutions are chosen in the options menu. Change game to windowed mode. Find the lines ResX and ResY and change them to the desired resolution width and height respectively. Change MaxAnisotropy=4 to the desired value. Save and set the file to read-only. 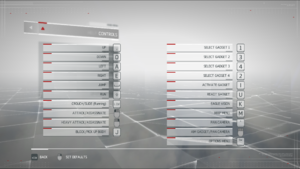 MSAA can be enabled, but menu UI issues may occur. Setting MSAA to above 1 may result in disappearing vision cones. Find bAllowD3D9MSAA and set it to True. Find MaxMultiSamples and set it to 8. 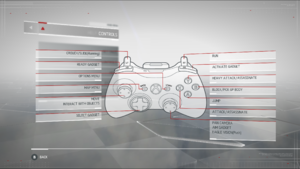 Will be used at all times if controller is detected. Use 3DMigoto 3D Vision DX11 Fix. ↑ 1.0 1.1 File/folder structure within this directory reflects the path(s) listed for Windows and/or Steam game data (use Wine regedit to access Windows registry paths). Games with Steam Cloud support may store data in ~/.steam/steam/userdata/<user-id>/354380/ in addition to or instead of this directory. The app ID (354380) may differ in some cases. Treat backslashes as forward slashes. See the glossary page for details.